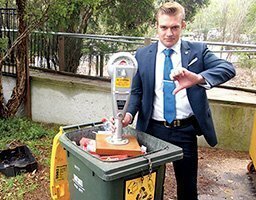 Families who park at Buffalo Creek Reserve will get three hours parking for free under a motion to be put to Hunters Hill Council by Clr Zac Miles. 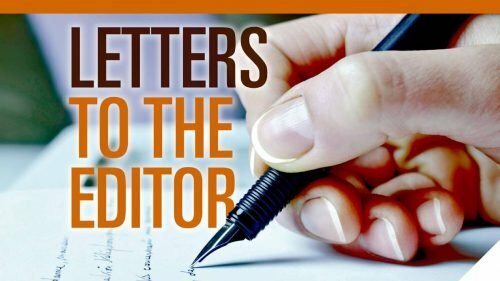 Councillor Miles opposed the recent introduction of parking meters in Clarke’s Point and Buffalo Creek Reserve where visitors from outside the Municipality have to pay up to ten dollars for a day out. His motion comes as a significant number of families in Ryde and neighbouring areas object to the meters which they say are a deterrent to parents who want to park there while their children play sport. Under the Miles’ motion signage at the Reserve be changed to reflect to note the three hour free parking and Hunters Hill Council will also notify parents of the changes through The Weekly Times. 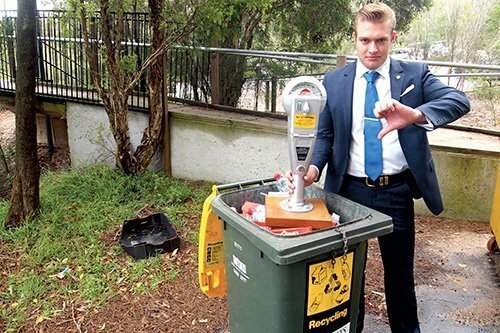 Hunters Hill Clr Zac Miles says NO to parking meter rip offs.